These Double Chocolate Guinness Cookies are the perfect treat for St. Patrick’s Day or any time of year. Guinness is a perfect complement to chocolate! St. Patrick’s Day is right around the corner! Are you ready with your Guinness / Bailey’s / Jameson / Corned Beef / Cabbage recipes? Ok maybe not all of those things together, that might be gross. If you are still deciding what to make, I have a great Guinness recipe for you…Double Chocolate Guinness Cookies! This is my first cookie recipe using beer, and I am a big fan. Guinness cookies are definitely going to be making an appearance more regularly in my kitchen, especially around St. Patty’s Day! Fun and festive sprinkles are added to a classic chocolate chip cookie, making these delicious funfetti cookies perfect for St. Patrick’s Day! Good morning! Apparently it is National Pancake Day. I’m not sure how I missed that one – TheBetterHalf just emailed me to let me know! As the pancake queen, I’m kind of upset with myself for not knowing about this awesome holiday. I might have to eat a plate of these for dinner to make myself feel better. Or these. Or these. So I don’t have pancakes to share with you today, but at least I have the next best thing – cookies! I am on a roll with the St. Patrick’s Day recipes. I just can’t help myself – I will take any excuse I can to make fun and festive treats. I posted these Irish Cream Cheesecake Brownies the other day, and today I have St. Patrick’s Day funfetti chocolate chip cookies for you! These Sherry Charred Brussels Sprouts are my new favorite way to cook this veggie! 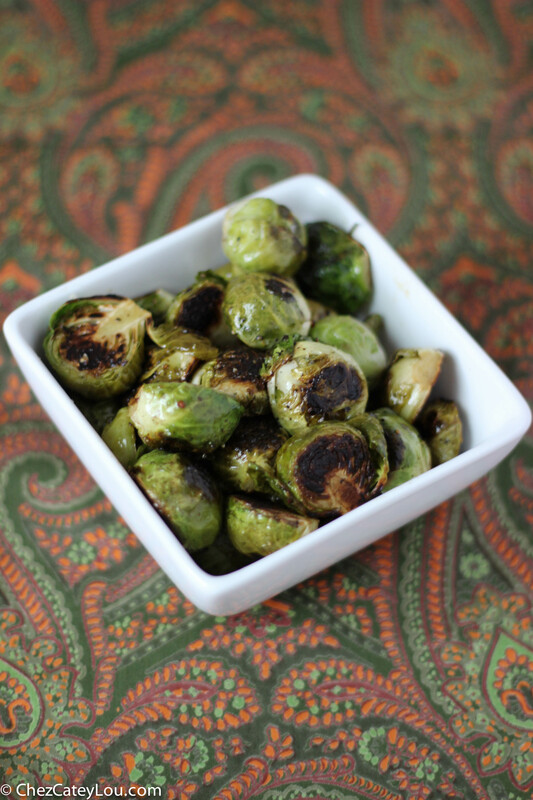 The brussels sprouts are so easy to make, and are so flavorful! It is Thanksgiving Week day 3! So far we’ve had Haricots Verts and Stuffing (TheBetterHalf’s favorite) and now it is time for my favorite – Brussels Sprouts! I know, it is hard to believe that I choose brussels over pie, but it is true. I just love brussels sprouts! There is something about their flavor -when they get all browned and crispy that I just can’t resist. We eat brussels sprouts all the time, especially in the winter. I have no self control around them – I actually have to make only two (large) servings or else I just won’t stop eating them. I usually roast them in a 400 degree oven tossed in some olive oil, salt, and pepper. But for our Thanksgiving Week, I decided to try a new recipe, one for the best brussels sprouts that I have ever eaten.